1. TELEPHONE READINGS – $100 CAD for 45 Min. An insightful 45-minute reading, without the hassle of traveling. 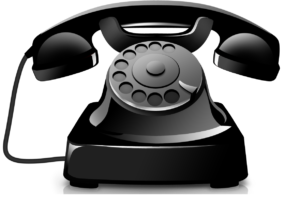 NOT SURE ABOUT TELEPHONE READINGS? PLEASE READ THIS SHORT ARTICLE BY RALPH. Entire fee must be paid in advance via paypal. 2. IN-PERSON READINGS – $150 CAD FOR 60 MIN. To book, a $20 non-refundable deposit must be paid via e-transfer. Please click here to read Ralph’s Google reviews. 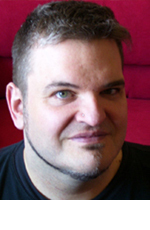 Ralph’s an insightful second-generation Tarot reader with 30-years experience. He’s also the Founder of the Psychic Brunch. Ralph co-wrote the daily horoscope in 24 Hours (500,000 circulation), and has read several celebrities. He’s been interviewed by CTV News, ONE Network, blogTO, Xtra, 24 Hours, CityTV, National Post, and more. Ralph’s used his psychic gifts to guide his own career. He’s an award-winning professor, gold-certified songwriter (with two #1 hits on iTunes), and a Galaxi Award-winning TV producer. See Ralph’s Wikipedia page. Ralph is a Cancer born on the exactitude of the full moon. He’s studied tarot, astrology, feng shui, law of attraction, Buddhism, and Paganism. He’s a vegetarian, practices mantra meditation, and has volunteered for many causes over the past 30 years. His greatest passion is helping others. A reading with Ralph will change your life! Ralph won’t make empty predictions. 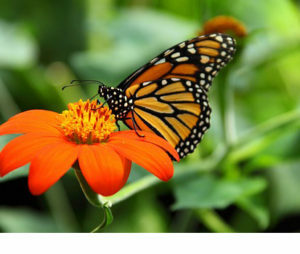 Instead, he’ll probe the energy of the “here-and-now” to guide you towards your most desired future. Ralph won’t tell you what you WANT to hear. Instead, he’ll gently tell you what you NEED to hear. During a reading, he’ll identify subconscious blocks, defense mechanisms, and negative patterns that might be holding you back. He’ll also reveal opportunities that can turn your life around. As a Medium, Ralph can use the tarot to accurately convey messages from departed loved ones. 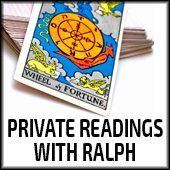 A reading with Ralph can become deeply personal, and he might give you “homework.” But you’ll walk away with a sense of clarity, renewed hope, and empowerment! To find out more about Ralph’s approach, see his interview with ONE Network. Ralph is extremely open minded, non-judgmental, and gentle. He’ll never push his personal views on a client. 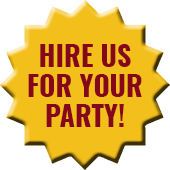 LGBT clients are very welcome! Ralph will never speak of “curses” to sell extra services. Nor will he pressure a client to make followup appointments. Anything discussed in a session with Ralph will remain 100% confidential unless you confess to a crime, or threaten to harm to yourself or someone else.